Abstract—This paper introduces a class of conjunction-based clauses with function variables and their semantics, with an aim to provide a larger problem-transformation space that seamlessly supports both top-down computation and bottom-up computation. A representative set of the collection of all models of a set of conjunction-based clauses is formulated. Two types of equivalent transformation on conjunction-based clauses, i.e., unfolding and forwarding, are presented and their application is illustrated. The presented work provides a foundation for constructing a correct method for solving query-answering problems. Index Terms—Query-answering problem, equivalent transformation, conjunction-based clause, representative set, forwarding transformation. Kiyoshi Akama is with the Information Initiative Center, Hokkaido University, Japan (e-mail: akama@iic.hokudai.ac.jp). Ekawit Nantajeewarawat is with the Sirindhorn International Institute of Technology, Thammasat University, Thailand. 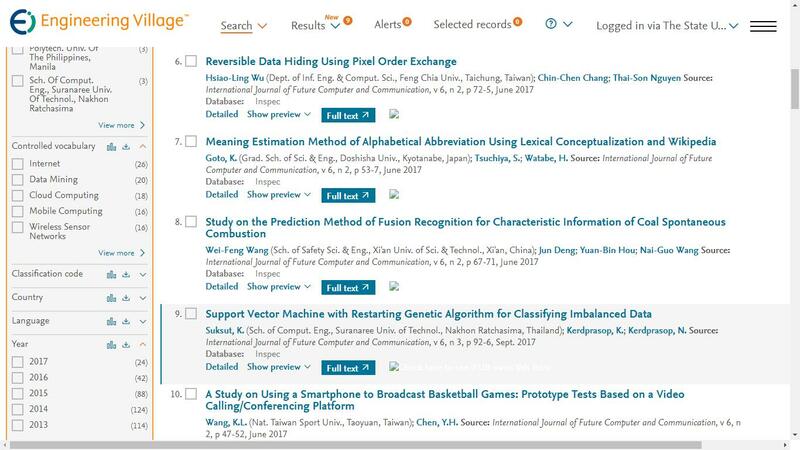 Cite: Kiyoshi Akama and Ekawit Nantajeewarawat, "Conjunction-Based Clauses for Equivalent Transformation of Query-Answering Problems," International Journal of Future Computer and Communication vol. 1, no. 1, pp. 5-8, 2012.